7+ hours of full audio and video streaming from 3 full time traders in a community of hundreds of active traders. Intraday Text of All SwingTrades. Exclusive Pricing and Members Only Webinars. Live with open chat: Active Community of Full-Time Traders. 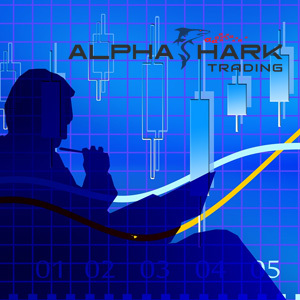 AlphaShark’s Market Tide indicator is designed to work across equities or futures. It is designed to allow a trader to capture as much of their desired price movement as possible. It works on day trades, swing trades, scalps and position trades. 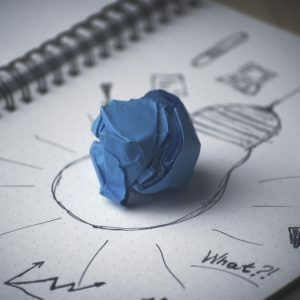 The basic concept is simple: to let the trader know whether the bulls or bears have control of price and provide entry signals when the market tide has shifted enough to warrant an entry; the Market Tide indicator is then designed to provide an exit signal when the market “tide” has weakened enough that it is no longer worth the risk of being in the trade, even if it isn’t initially. It provides entry and exit signals with as minimal price movement as possible, maximizing the price movement a trader can capture when potentially profitable and provides simple early signals to help minimize losses when the market reverses. It can help teach core concepts in trading. It works FANTASTIC as a confirmation indicator when used in conjunction with other indicators. Most importantly, it has parameters to allow the trader to set how big of swings in price they’d like to participate in before being given signals, allowing the indicator to be tailored to a particular trader’s tolerance for risk! ICOs, or Initial Coin Offerings, are a prominent mechanism for funding cryptocurrency projects. Many new investors have a hard time understanding this revolutionary mechanism for funding a project. Investors who understand ICOs are able to participate in cryptocurrency investments at the ground floor, oftentimes at an extremely discounted rate compared to investors who wait to purchase a project on a cryptocurrency exchange. Lance Ippolito’s Volume Shark is the first indicator of its kind for breakout trades. 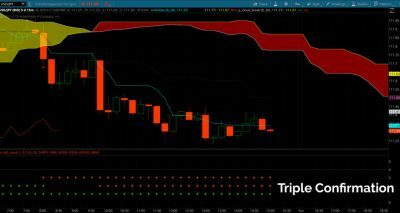 Using three studies combined in one indicator available on Think or Swim and TradeStation the Volume Shark can be used for day trading and swing trading on any time frame. The studies are 100% customization to the user settings to perfect the individual traders needs! Entries are provided clearly via arrows on the charts with target and stop prices displayed on the chart as well. 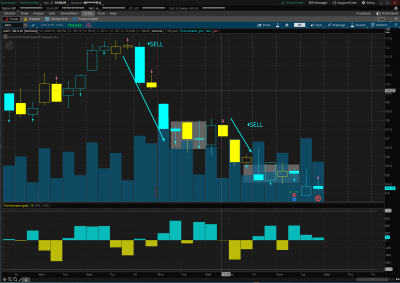 Trades can also see volume demand via colorful dots to confirm breakouts. The Average True Range Formula is custom to the traders time frame calculated prior days movement along with trend direction to price targets effectively. Be the first to own these blend of custom studies from Lance Ippolito into one purchase indicator Alphashark’s Volume Shark Indicator! 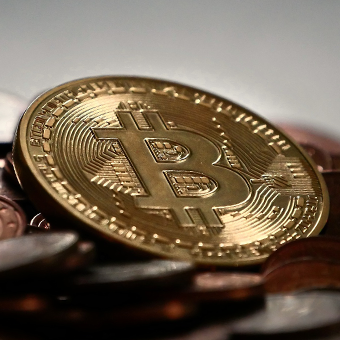 The cryptocurrency space has been exploding recently. Anyone with 100 dollars can see their portfolio grow. The question is, can you outperform the market by 5x, 10x, or 20x? In this 4 hour special, Mr. S walks through his strategy for the beginning of 2018, his own personal portfolio for Q1 and how to pick the next batch of winners. By focusing on the large market cap coins that will be effected by the upcoming surge of institutional money and investors, Mr. S believes the Cryptoshark community can benefit tremendously. The BBand Oscillator suite is a set of studies that incorporate the Bollinger Bands, but in a the form of a lower study. Now available for thinkorswim. NinjaTrader 8 in development. The Catapult indicator is a breakout indicator which can offer a high reward to risk multiple due to the way the Ichimoku cloud interacts with a special oscillator that shows strong breakout momentum. When this indicator signals a trade entry, it offers the prospect of a high win percentage and a high profit factor. This indicator can be used for any tradeable instrument, spot forex, all the futures, and of course stocks, ETFs, and indexes. Options trades can be derived from the stock trade signals. It works on any timeframe for trading. It can be used for day trading as well as swing and position trading. It is based on time, but range and tick charts can be used but the user will have to experiment for the best number of ticks to use on the charts. The indicator will automatically plot a stop loss and two target profit areas that will be unique for the instrument being traded. Learn the Elliott Wave Rules and Observations that allow serious traders to understand Long, Medium and Short Trend directions. 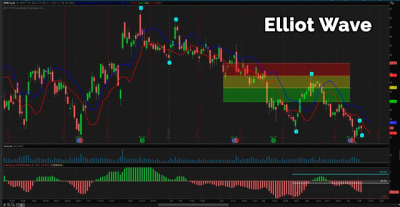 Then how to use this information within a special Elliott Wave Hacker trading strategy using exclusive Elliott Wave Tools designed for thinkorswim by our ex institutional trader. You will also learn important trading entry techniques to Swing Trade the highest probability wave in the Elliott Wave sequence. The Target Exit System is a proprietary based system that shows a Standard Deviation Average True Range and Average True Range on the chart. The difference between this and anything else is these exits/targets move as new high and lows are established in the day. 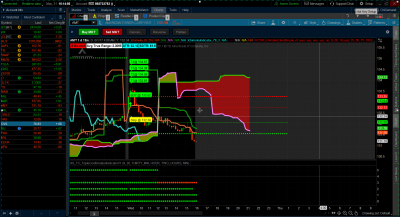 This indicator/scan helps traders find confirmed Ichimoku Cloud setups for both day and swing trades. This indicator will scan any market or custom watchlist for these setups and will alert a trader to potential long and short trading opportunities. Note: NinjaTrader versions currently available through AlphaShark Trading. Projects entry level onto the chart along with profit targets and stop loss level. Allows a trader to switch between aggressive and more conservative trading styles. Simple and easy to use for the TOS platform. Also projects a potential options trade onto the chart. This is a great indicator for traders who want to flag opportunities for day trade entries on intraday pullbacks and can be used for both options and stocks! The Variable Profile Pivots indicator and Strategy is designed to catch the edges of the market using a proprietary pivot system. Unlike most pivots that use the Previous day High, Low, and Close to plot pivots, our pivots are designed using the overnight range and the Market Profile + Volume Profile Value Area on a 1hour basis. What makes this Indicator unique and a must have is that the pivots dynamically change over time just like the market, it does not remain fixed in one location. Watch our moderators break down institutional equity options orderflow in real time. See unusual options activity trades as they happen in real time. Hear and see our moderators trading their own accounts with real capital in real time. Get access to members only videos and content. We believe Option-Hacker is the most real-time trade alert service in the world. 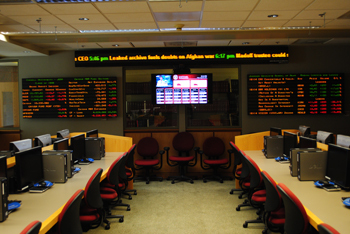 Built on technology used by every major trading desk, Option Hacker filters live data from every exchange into a handful of signals based on Keene’s criteria. OptionHacker unusual options activity scanner. OptionHacker blueprint and trading plan. OptionHacker cheat sheet for learning all of the best ways to use OptionHacker. 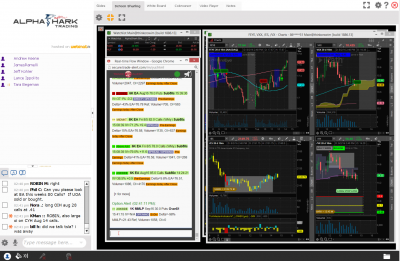 Live and real time alerts from the biggest and best institutional traders. The Earnings Trade Alert Service gives you access to real time trade alerts ahead of quarterly earnings reports. We highlight low risk high reward options strategies using out proprietary earnings trading plan and send you all of the entries and exits as they happen in real time. These trades have the highest gamma and theta, which means they move the most and have to have quick entries and exits. ALL trades will be closed by end of the day. 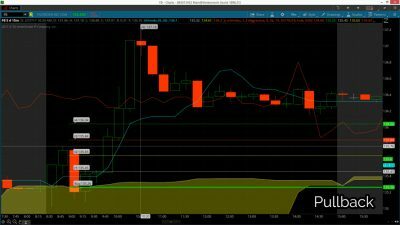 Real time day trade entries and exits as Andrew trades them in his account. All relevant trade details including entry price, profit targets and management plan. These trades will be trades that expire in 4-8 weeks and will have an average holding period of 2-3 weeks. All trades will be executed before these become front month options. Real time Swing Trade entries and exits as Andrew trades them in his account. These trades will be trades that expire in 2-6 months and will have an average holding period of 1-5 months. All trades will be executed before these become front month options. Real time Longer Term Swing Trade entries and exits as Andrew trades them in his account. These trades will be trades will be based on Unusual Options Activity, but will be traded with stock. The holding period for these will be 1-4 months. All trades will have entries, exits, and stops. Real time Stock Swing Trade entries and exits as Andrew trades them in his account. Stock Swing Trade entries and exit rules sheet. 10 step checklist for spotting Stock Swing Trade candidates. 2016 Cheat sheet for all of Andrew’s favorite and least favorite symbols. This webinar focuses on year-end trading strategy based off historical institutional rotation. Keene will be trading the strategy in a live 2-hour session from his own account, with two follow up sessions. In this special 2 day boot camp Andrew will break down the strategies and insights he has been using to successfully manage a smaller account. 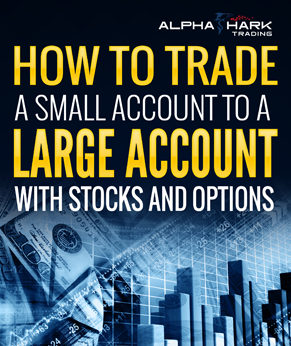 Even if you don’t have a "small" account this workshop will be full of useful risk management and trading techniques that anyone can leverage in their current plan. This on-demand workshop was filmed over the course of 2 days and details Andrew’s approach for trading the volatile market conditions. This workshop offers an in depth approach to managing risk and benefits in a volatile market place. Learn why this is the best time all year to trade! Unlike most indicators which captures price movements "after" the move this indicator speeds up with volatility as price rapidly moves. This produces a dynamic trend wave used to determine entries, exits, and market direction for swing and day traders. Combined with multi-time frame analysis this combo creates the complete trader toolkit when analyzing stocks, options, and futures. To summarize, I want to have as much confirmations as I can have when making a trade. Kind of like a grand slam. Is price above or below the wave? Is the arrow product signaling buy or sell? Are all the time frames signalling a buy or sell? If all 3 confirmations are correct I can initiate the grand slam trade! The wave is a combination of moving averages combined with a volatility study. As the wave trends up the price action turns bullish. As the wave trends down price action turns bearish. A flat wave = chop. The wave expanding and contracting is the measurement of volatility. This is measured in real time and adapts in real time unlike bollinger bands. 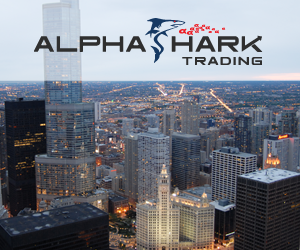 Note: TradeStation and NinjaTrader versions currently available through AlphaShark Trading. The thinkorswim study does not work on mobile devices. This indicator is designed with re-engineered stochastics in order to find Strength in any market. This study also analyzes the Mean & Mode of the volume of each individual bar to achieve the best possible trade location and trade confidence. The indicator also finds areas where there is a strong possibility of buying and selling pressure based on price analysis. Based on the described above, the indicator creates signals in the forms of arrow products and "v" shapes in different colors and sizes to visually understand what the market is doing. The indicator also has a wide variety of options for both DayTrading and SwingTrading as well as targets for swings and daytrades. In addition, custom sound alerts flare for every generated signal. This is a great indicator for day traders but it can also be used for swing trading. No matter who you are or what you trade this is an amazing indicator. The indicator simplifies using market internals for a variety of trade setups and products. Great indicator for day trading futures, stocks and index ETF’s like SPY, QQQ, DIA, and IWM. This indicator uses Market Profile information in order to plot the best Long/Short locations for day trading. It gets rid off all of the noise and visually gives you the most important components for setting up day trades with Market profile as a guide. 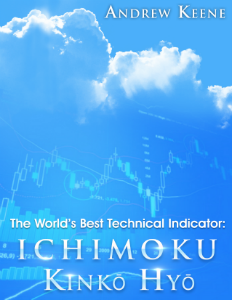 Our Ichimoku Cloud Day Trading Indicator was designed to provide a trader with the best potential long and short day trading signals based on the cloud. The indicator provides a trader with all of the relevant signal information that they need. This is one of our favorite indicators and is a must have for anyone who is looking for a tool that can help them trade the cloud. This is a great tool for day trading momentum names and is a very simple and easy to use indicator. This is one of our most unique workshops and the information presented in it comes from 10 years of experience trading in the pits in Chicago. If you are still struggling to make money consistently while trading this workshop is for you! Learn how to use unusual options activity to trade like top hedge fund managers and other institutional traders. Running over 2.5 hours, this workshop shows the ins and outs of Keene’s top option trading strategy to date. On the trading floor, the term ‘paper’ was used to denote the large institutional orders carried into the trading pits by brokers. While it is unethical (and illegal) to trade based on non-public information, once an order is sent to the exchange it becomes public information – and anyone can trade off of this. By watching 2,000 trades a day, Keene filters out the handful that meet his criteria. This workshop teaches the methods Keene uses to flag what he considers to be the most ‘unusual’ trading activity. The first 90 minutes of trading are some of the most active of the session – this is when hedge funds, banks, and other institutions look to initiate new positions. Nearly as active is the last hour of the session, when ‘smart money’ will look to sneak in and out of positions unnoticed. Andrew Keene actively seeks to trade with ‘paper’, a word derived from the trading floor used to denote institutional investors. 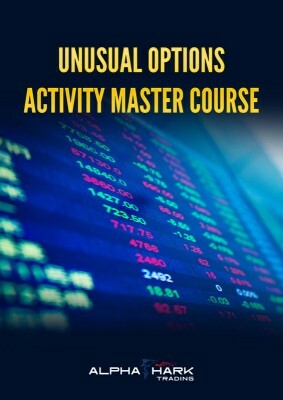 In this 10 hour DVD, you can watch as Andrew reads unusual options activity in 8 1-hour Opening Bell sessions. The DVD also includes 2 1-hour Closing Bell sessions. Watch now to see how you too can study where the ‘smart money’ is going! 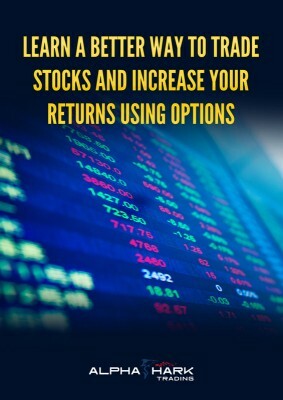 Using calls to buy stock for half the price, Learn how to use the options market to make investments in equities for half the initial capital of outright stock positions. Using Puts to Get long Stock, Learn how to use ITM puts to get LONG stock without laying out any capital and putting time decay on your side. Using spreads to collect premium and Get Long Stock for Income, Learn how to use credit spreads to trade equities to the long side and collect premium on a weekly or monthly basis. The Options Wheel – How to get long stocks cheaper or get paid not to. Continually lower the cost basis of long stock positions. What does a trader use candlesticks for? 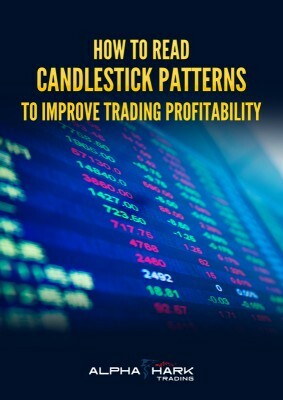 How can a trader use candlestick patterns to improve their trading plan? Why understanding candlestick patterns can help a trader time entries and exits. Using the chart to avoid bad setups and take the highest percentage entries. Why make 2.6% holding the 10-Year note? 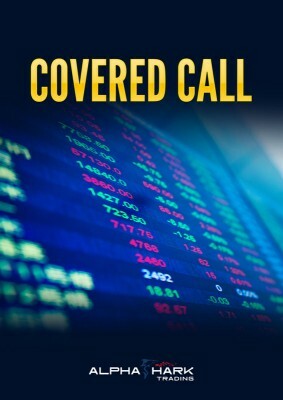 Selling a covered-call, also known as buy-write, is the only strategy the OCC considers to be ‘non-speculative. Learn the ins and outs of this strategy through this comprehensive course. Learn how to calculate risk, reward and breakeven levels using this strategy. Learn how a trader should select strikes to sell and how to know a good setup when one presents itself. This is a great strategy for an investor or anyone who does not want to watch their bank yield them 0.4% annually and wants to create an extra dividend stream in an underlying stock. While the traditional floor market maker has been largely replaced by algorithmic, or ‘high frequency’ (HFT), trading firms, their trading strategies remain as relevant as ever before. To avoid blowing out their accounts, floor market makers would constantly hedge themselves against the order flow coming into their pit. The best market makers would glance at the trading activity around them and use it determine the implied movement in the underlying. 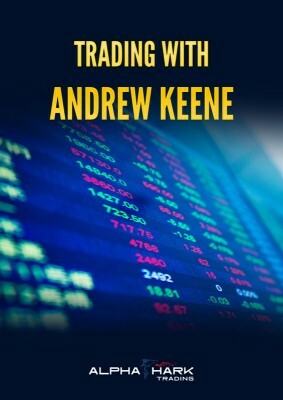 In Trade Like a Market Maker, Keene offers straight-foward explanations of how these techniques can be applied to trading today. The discussion in this workshop will focus on how retail traders can take advantage of the information offered by institutional order flow. Why would a trader want to follow unusual options activity for swing trades? Who places the large block orders and how can I use them? What makes an order "unusual" and how does a trader know it is actionable? 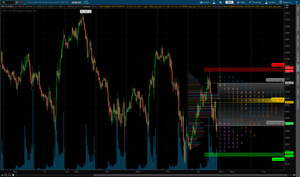 Where can a trader get access to institutional orderflow? How does a trader use this information to take higher probability trades in the stock and options markets? Once we determine how to identify ‘unusual’ orders, we will examine how traders can use this information to structure trading strategies with medium to longer term holding periods. Finally, we will introduce a new, in-depth trading plan that walks a trader through the process of identifying, analyzing, and executing trades in the equity options market based on information gained from institutional order flow. In this exclusive live event, veteran trader Andrew Keene teaches the tool set behind what he believes to be the best technical indicator in the world: the Ichimoku Cloud. Keene credits ‘The Cloud’ for his success trading stock and options off-the-trading-floor, but through research discovered Ichimoku works best in Forex Markets. 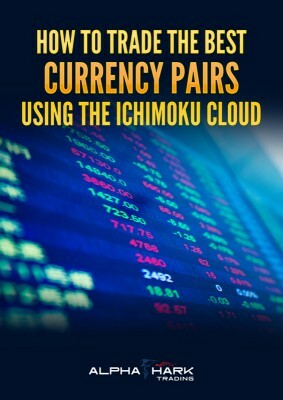 This workshop will cover the components of the Ichimoku Cloud and how they apply to Forex markets (no prior Ichimoku knowledge required), as well as an overview of the Forex market and the unique opportunities it offers traders. 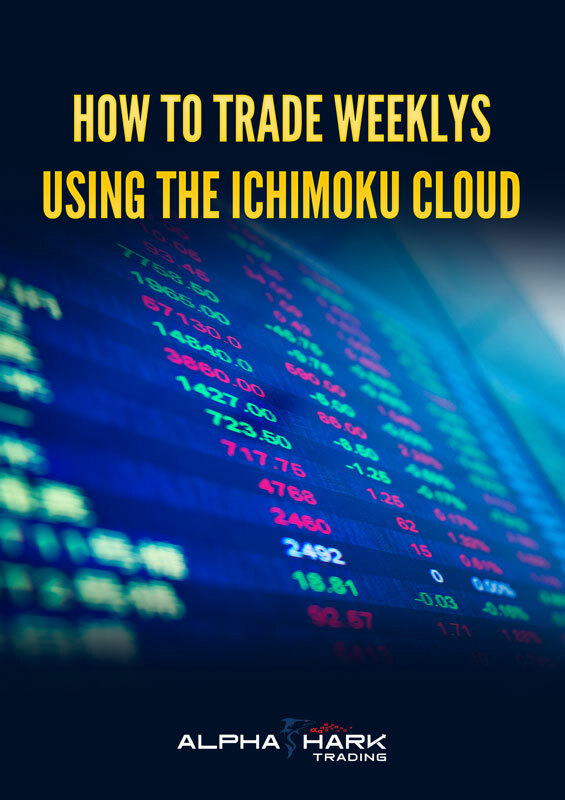 The workshop goes on to cover how to use the Ichimoku Cloud in Forex markets, selecting the correct time interval, and technical analysis for Forex markets. 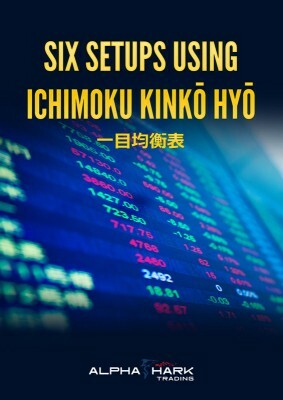 Finally, the workshop offers traders an easy-to-use, 5-step plan for trading Forex using only high probability setups offering favorable risk versus reward setups. This workshop focuses on year-end trading strategy based off historical institutional rotation, from the last 35-40 years. Keene has funded a dedicated account with $100k to trade the strategy live in this 5-part, 4-hour webinar series. This workshop will focus on KOTM’s strategies for swing trading some of the stocks most actively traded by both institutions and individuals. In Master How to Trade Like a Hedge Fund Manager, options trading expert Andrew Keene reveals his personal stock and options trading plan that has made him millions of dollars while trading on the Chicago Board Options Exchange. What are Options and why is Reading Order Flow important? What is one rule of thumb every trader should follow? How can I use Technical Indicators like the Ichimoku Cloud? What are the top 10 easily avoidable mistakes most traders consistently make? "Since founding KeeneOnTheMarket.com, the positive feedback has been amazing. I love helping traders improve their P&L through setting up better risk versus reward trades, and business is booming. KOTM started as a blog, but I realized I wasn’t content just sharing my market commentary, I wanted to help others stop losing money at the very least." This is our top selling e-book on our favorite technical indicator. This book is full of practical knowledge relating to the cloud that a trader can apply to any trading plan and any product. Andrew Keene is President & CEO of AlphaShark Trading, which he originally founded as KeeneOnTheMarket.com in 2011. Previously, Andrew Keene worked as a proprietary trader at the Chicago Board Options Exchange. He began his career in the prestigious Botta Capital ‘clerk-to-trade’ program, and would eventually co-found KATL Group, where he was the largest, independent on-the-floor Apple trader in the world. 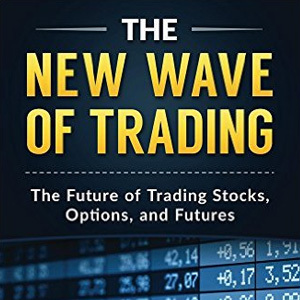 In his new book "The New Wave of Trading: The Future of Trading Stocks, Options and Futures," Andrew breaks down some of the most difficult and misunderstood trading concepts in simple and easy to understand examples. Andrew has educated thousands of traders around the world and wrote this book to help retail traders move their trading to the next level. 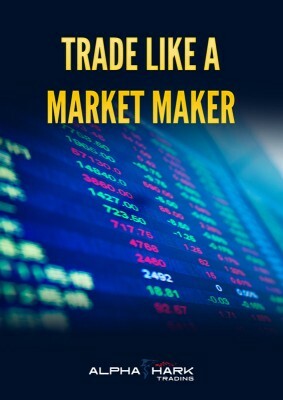 Over a decade of professional trading experience went into the writing of this book and it is written to in a way that is easy to understand and valuable for a trader of any skill level. 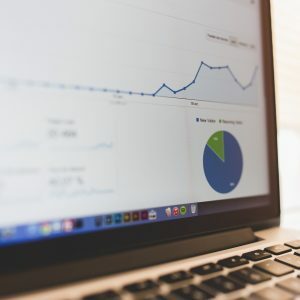 Beginner traders and experts will find valuable pieces of trading information along with valuable tips and tricks to help their trading plan regardless of what they trade. 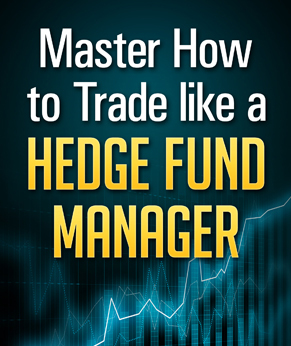 If you have any interest in learning how to trade better this is the book for you! 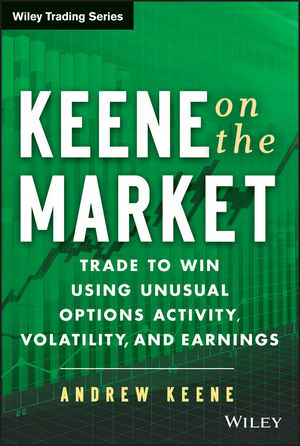 Andrew Keene is best known for reading unusual options activity and seeing what others don’t. Now he shares what he knows in a book that opens the opportunities of options trading to any investor.